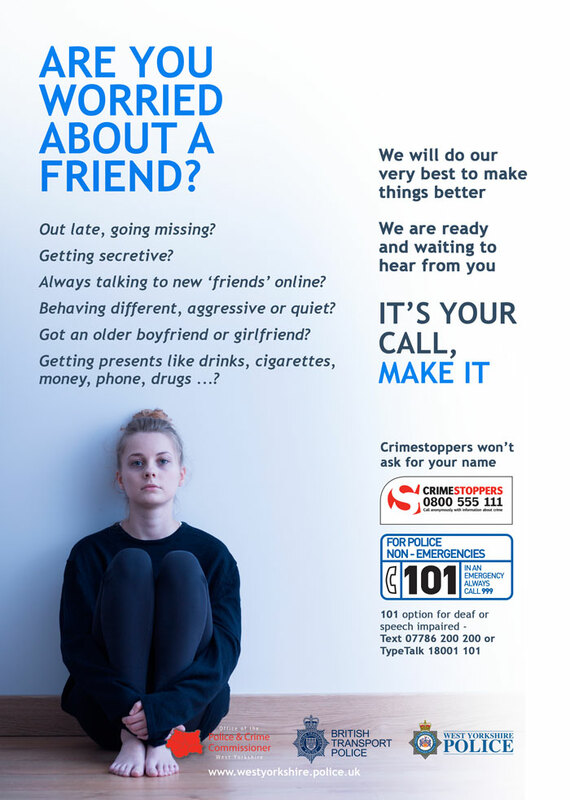 If this sounds familiar and you are worried about your friend, or even if it sounds like something that is happening to you, there are lots of people that you can speak to. West Yorkshire Police have specially trained officers who will always do their best to make things better and they won’t judge or blame anyone. 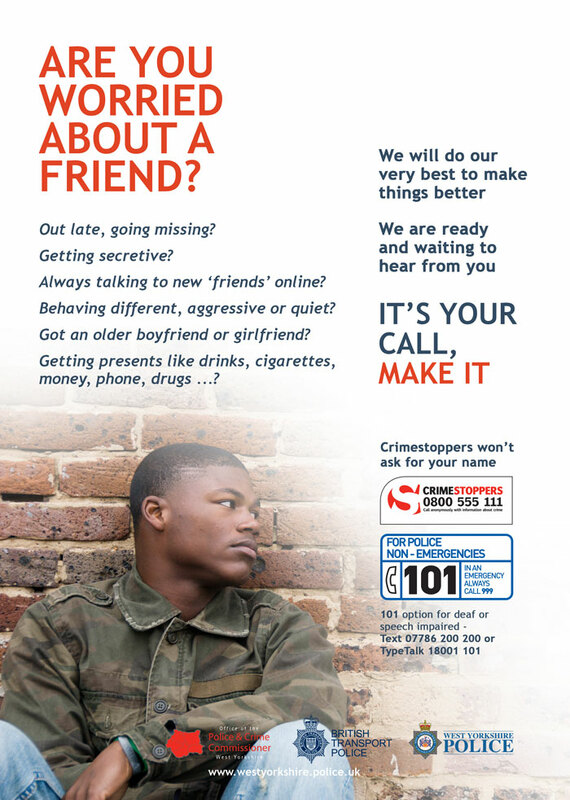 But if you would rather not speak to the police, that’s fine, and there are lots of other organisations that you can speak to who are ready and waiting to hear from you. If there is a crime in progress or a danger to life always call 999.